This is a photo of Dyl & I. A polaroid that Haley took of us. During the time that we were engaged. The early, early days of "us". I think it was sometime after the holidays, because I think she got that Polaroid camera as a Christmas gift. Anyway, this photo sits in our apartment, framed, along with this fortune that I always loved from the minute I pulled it out of that cookie. 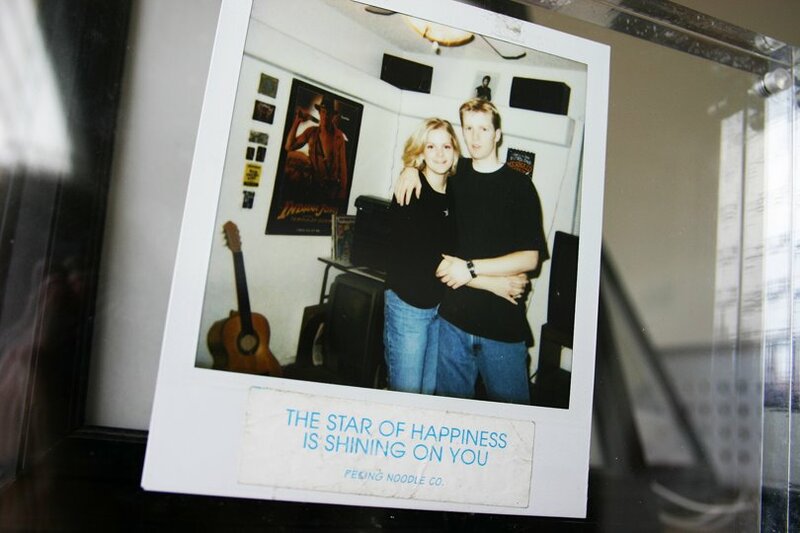 "The star of happiness is shining on you". I've always agreed with that. I think of this fortune whenever I think of how blessed I am in my life & whenever I think of my little family. So cool. Here's my second favorite. Right now it is taped on a shelf above where my sewing machine used to be...where all my craft stuff was before I moved most of it out to the dining room. 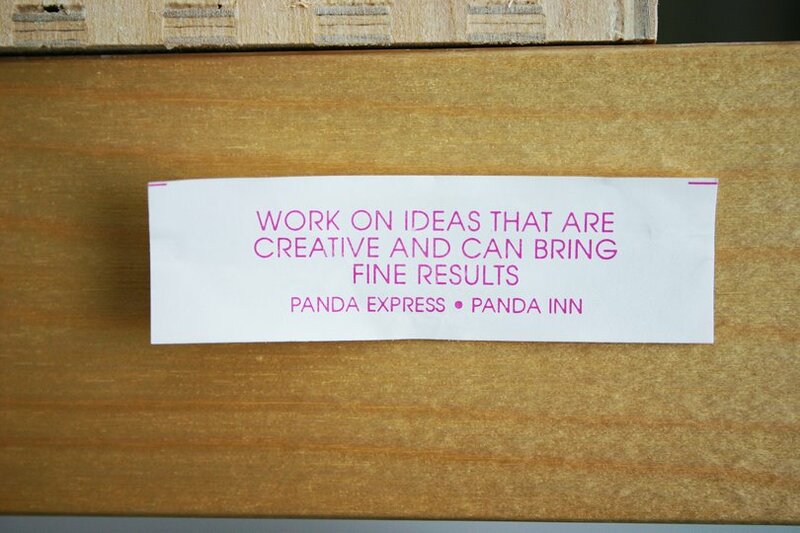 "Work on ideas that are creative & can bring fine results". Lovely, isn't it & I think it was made just for me. Chanel & I talked about this same thing just yesterday. I am just not the best at finishing things I start. I have great intentions & I think I'm pretty good in the creative ideas area, just need to work on bringing about some fine results. And, with that, I think this fortune needs to be moved out to my new work station.